It’s not Cooperstown, but it’s still an honor. Long Island native Craig Biggio, who fell two votes shy of induction to the National Baseball Hall of Fame earlier last month, was inducted to the Ted Williams Hitters Hall of Fame at Tropicana Field in St. Petersburg, Fla. last weekend. 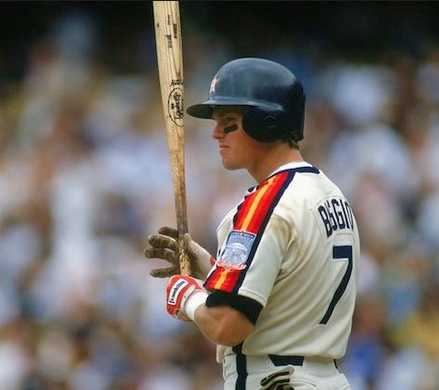 Biggio, who grew up in and played baseball at Kings Park, played 20 big league seasons with the Houston Astros. He has 3,060 career hits and was a lifetime .281 hitter with 668 doubles, 291 home runs, 1,175 RBI and 1,161 walks. Biggio received 74.8 percent of the necessary 75 percent of voters for induction to the Baseball Hall of Fame. -His 668 doubles are the most in Major League history by a right-handed hitter and rank fifth all-time among all hitters. -Biggio also holds the NL record for career leadoff home runs with 53 and the modern Major League record for being hit by a pitch with 285. -He is also one of just 14 players in ML history to reach both 3,000 hits and 1,000 extra-base hits, and is the only player in MLB history to reach all four of the following milestones: 600 doubles, 250 homers, 3,000 hits and 400 stolen bases. -Biggio was a seven-time All-Star and four-time Gold Glove winner, and is the only player in MLB history to be named an All-Star at both catcher and second base. Fans can view an array of different artifacts and pictures of the “Greatest hitter that ever lived.” These memorable displays range from Ted Williams’ days in the military through his professional playing career. This museum is dedicated to some of the greatest players to ever “lace ’em up,” including Willie Mays, Joe DiMaggio, Mickey Mantle, Roger Maris, and Sadaharu Oh.